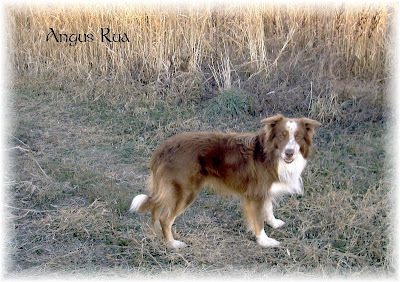 We are now the proud new owners of a 6 year old Border Collie who has had training in herding sheep. He has a very gentle spirit and does have an "off button" while in the house. His former owner felt he needed to be on a farm to work and do what he does best. We feel fortunate that she decided he could live with us. However, the llamas aren't so sure about Gus or our Black Lab, Sylvan. 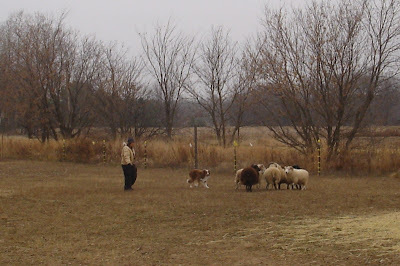 One of the reasons we have the llamas is to help guard the sheep from canine predators. We have to be sure that the dogs don't get into the same enclosure as the llamas. They may just try to stomp a dog to death. The llamas have learned that the dogs are part of our farm flock but their instincts would prevail and they would most likely protect the sheep.